Recently voted as one of Tripadvisor's Traveller's Choice Top 25 hotels in Switzerland and with easy access in moments to and from the lakeside by private elevator, this well-furnished hotel in an ‘Art Deco’ style, offers very comfortable accommodation and enjoys superb panoramic lake views. Enjoying a quiet yet central position just 5 minutes’ walk from the lake and a stone's throw from the railway station for boat and rail excursions. 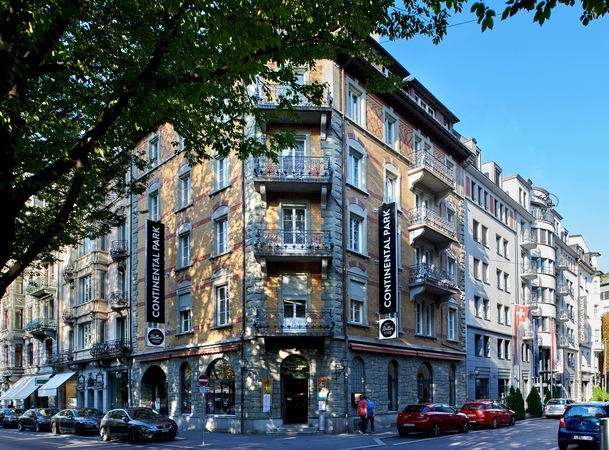 With the public areas recently-refurbished, the Waldstätterhof is a well-established city hotel offering a good standard of accommodation and cuisine in an excellent central location. The Romantik Hotel Wilden Mann is a charming, comfortable hotel located right in the heart of Lucerne's beautiful historic old town. Dating back to 1860, the hotel has many original features and the rooms are individually-styled to give a tradition charm and boutique feel. 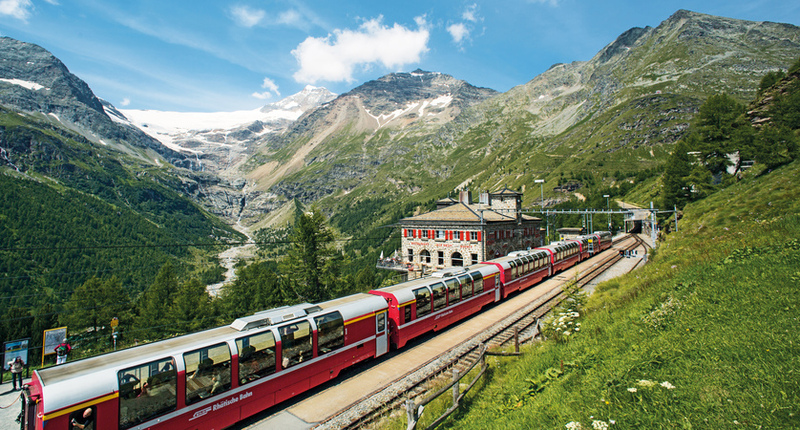 Escorted by an experienced Inghams guide, this 9-11 night tour is an excellent overview of Switzerland's special highlights, designed for those seeking a true taste of this stunning country, including unforgettable experiences on two of the most spectacular panoramic journeys in the world, the ‘Bernina’ and ‘Glacier Express’. Transfer Approx. 1hr by rail. Transfer Approx. 3hrs by rail. Flight supplements may apply and are based on 7 nights midweek/weekend departures. Other UK regional airports are available on indirect flights. ‘Fly-rail Luggage’ - send your luggage directly from your UK airport to your hotel for only £18 per item per way. See our Transfers page for details. ‘Bagsahead’ - If you would like to have your luggage collected direct from your home, we recommend Bagsahead. Free travel on Swiss Transport Network for children up to 15 years incl. Save up to 50% with your half-price card on trips of your choice across the Swiss transport network. Included in the price of your holiday, and worth over £80! Your travel card is sent to you before departure with your rail transfer tickets. Switzerland's excellent public transport network of mountain railways, cable-cars, steam boats and buses makes it a pleasure to explore the sights, at your own pace. Free travel to summits Pilatus Kulm, Rigi Kulm and Stanserhorn for fantastic views, open-top cable-car and walking. Easy Lucerne is perfect for strolls along the lakeside or the colourful old town. Don't miss the city guided walking tour, which points out the city's most important landmarks. Slightly Challenging Head out of Lucerne to the nearby Rigi mountain near Weggis. The cog railway takes you up to Rigi Kulm and you can walk even higher to get stunning panoramic views. Instead of taking the train back down, walk to Rigi Kaltbad (approx. 1hr 20 mins). Ascending Mount Pilatus by cog railways and cable-car is also a must for inspring views of the lake and Alpine range. 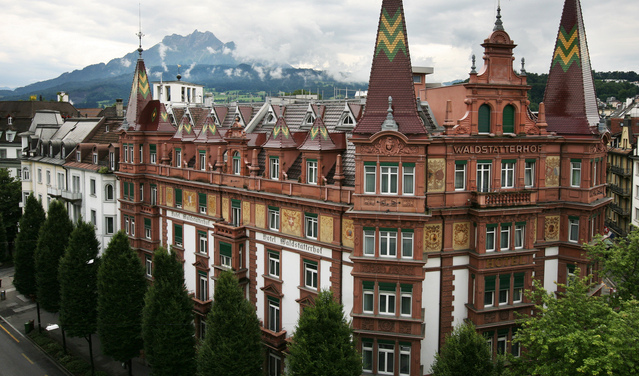 Multi-Centres | You can combine your stay in Lucerne with any one or more resort(s) of your choice in Switzerland. We recommend Montreux or Wengen. Flexible durations available Transfers. between resorts via the Swiss transport network are included in your holiday price. Or try our escorted four-centre Swiss Classic Tour.